ZY1276: 0.01mA current resolution. The Type-C PowerDelivery decoy monitoring capture trigger detection, QC2.0, QC3.0, FCP, AFC, VOOC, DASH, fast charge trigger detection, deception, senior enthusiasts recommend USB test artifact. 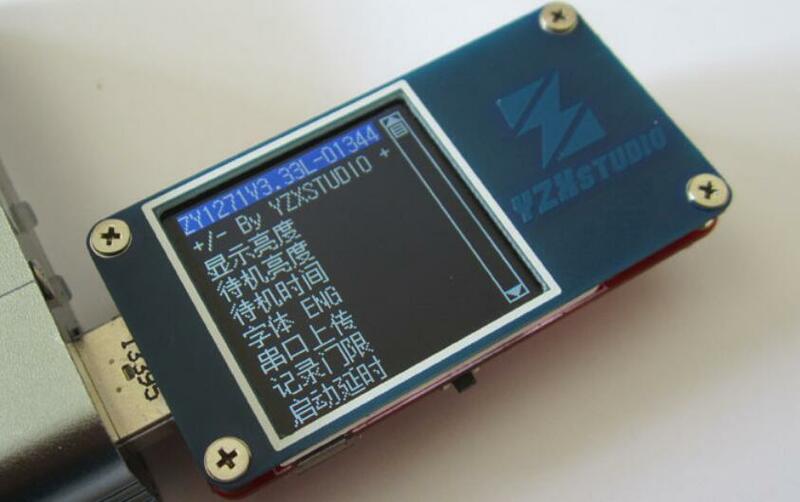 USB2.0 interface, with almost full function fast charge trigger detection function, higher current resolution, Type-C PD adapter can be measured. Plug in Computer USB port Or Non-USB charger, Automatically change the charging identification signal to charger, So that the phone is believed to plug into the charger to speed up charging. Note that this function does not change the output voltage, does not support the ordinary charger to QC2.0 charger, and can not enlarge the output current. Can be inserted into the unknown USB port or mobile power USB port, detection of this USB port specific charging identification signal, easy to identify what mobile phones are available for recharging?. When using this feature, it is recommended not to pick up your cell phone, or your cell phone will interfere the identification. When the input voltage is too high or too low, the temperature is too high, the output current is too large or too small to maintain the set time, it will activate the USB safety monitoring and protection function, cut off the output to prevent accidents. Can be used for mobile phone charging at night, completely filled with power; protection of voltage and current input not causing damage to the mobile phone charger adapter is disconnected from overheating; stop charging. If you want to resume the output after protection, please long press the button at D+D- voltage to restore the output. That is, the data line voltage, based on this voltage, can distinguish most charger types. You can refer to this voltage to assist in determining the USB port charge identification mode. 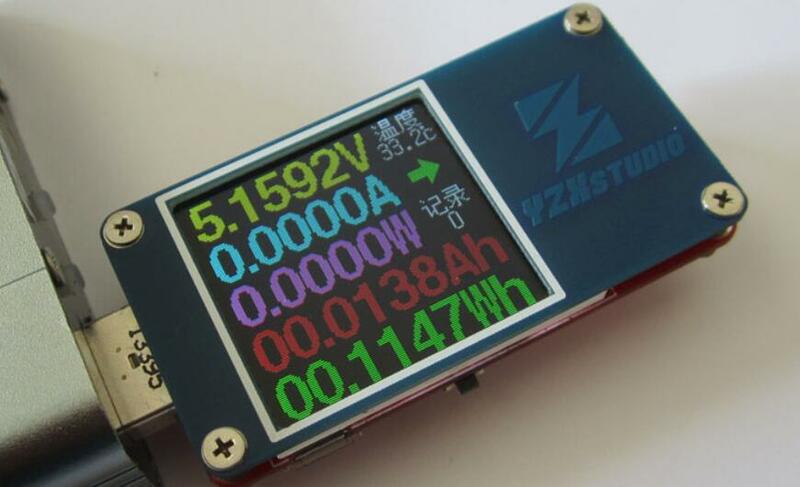 – First screen: current voltage,current,power,cumulative Ah capacity,Wh capacity,right side of the small board temperature,current direction arrow,capacity group.Long press to switch capacity group,long press to clear the current capacity group. – Second screen:The current voltage,current,power,load equivalent resistance,recording time. 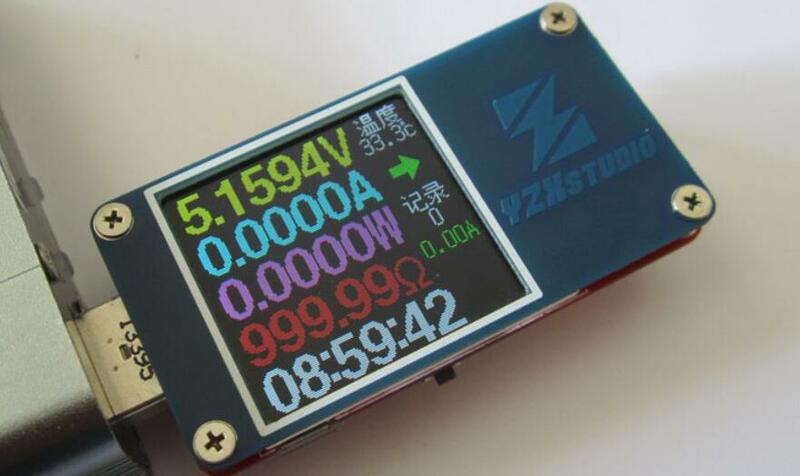 – Third screen:10 times -100 times the average voltage and current power,D + D-voltage,fast charge recognition mode.Long press to toggle the number of displayed digits and the average number. – The fourth screen: Cable internal resistance measurement function,no-load long press to switch test mode,with a long press record record reference data. – Fifth screen: voltage and current D + D curve drawing function,the new firmware automatic range,the fastest curve 100SPS,60FPS. With someone’s propaganda is “oscilloscope”,”ripple table”.Since only 100SPS is not enough to display high frequency ripples,only advertise the curve drawing function.Automatic range of the lowest 0.01V or 0.01A a grid. – Sixth screen: only shows the current voltage,current,power,this interface long press to rotate the display direction. System settings: press and hold the button and then plug in,short press to switch options,long press to enter and confirm.